Sony Pictures has ordered Ghostbusters 3, and it will continue the story established in the original movies. This means that Paul Feig's remake will be ignored, with the planned movie picking up after the events of Ghostbusters II. While it remains to be seen what the story will be about or who else will be involved, a director is already officially on board. In addition to co-writing the screenplay with Gil Kenan, filmmaker Jason Reitman will be helming the upcoming sequel. Of course, Reitman is the son of Ivan Reitman, who directed both the 1984 original and its 1989 sequel. Retiman has confirmed his involvement, letting fans know what to expect from the next movie in the franchise. "I've always thought of myself as the first Ghostbusters fan, when I was a 6-year-old visiting the set. I wanted to make a movie for all the other fans. This is the next chapter in the original franchise. It is not a reboot. What happened in the '80s happened in the '80s, and this is set in the present day." Reitman's father Ivan will be serving as a producer, effectively passing the Ghostbusters torch to his son. It's also not yet clear who else from the original movies will be involved, but Jason Reitman is promising "a lot of wonderful surprises and new characters." While we can only speculate, this suggests we'll be seeing some new people in the proton-pack wearing team of spectre hunters, but with a few familiar faces reprising their roles. 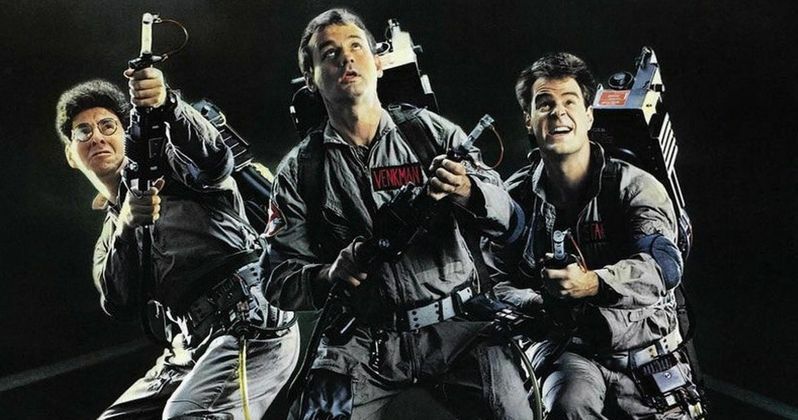 Bill Murray, Dan Aykroyd, and Ernie Hudson all had cameo appearances in the 2016 movie, so there's a good chance we'll see them return in some capacity in Ghostbusters 3. Original actor and co-writer Harold Ramis died in 2013. Fans of the franchise had likely given up on ever seeing an official sequel to the original Ghostbusters movies. Aykroyd had previously written a screenplay for a third movie in the '90s, but the project was never able to make any traction. However, all four original actors lent their voices to the 2009 Ghostbusters video game, and it seemed to be the closest thing to Ghostbusters 3 fans would ever get. The death of Ramis and having the movie rebooted in 2016 only made a follow-up to the originals all the more unlikely. Fan interest was restored a couple months back when Aykroyd said a new script was being written, and with the sequel now officially a go, it's time to start getting excited. This does not necessarily mean the 2016 movie will never get a sequel itself, although that seems very unlikely. The movie did not perform as well as Sony had been hoping for, both critically and at the box office. Still, there are going to be other Ghostbusters stories being told in other movies, in addition to the upcoming sequel from Reitman. An animated movie is also in development, although it won't be arriving until after Ghostbusters 3. Of course, the performance of Reitman's sequel will determine if a Ghostbusters 4 winds up happening. In any case, there's plenty to look forward to in the future for fans of the series. As of now, there's not an official release date attached to Ghostbusters 3. Sony is planning to premiere it in the summer of 2020, with the movie is set to start shooting in a few months time. We expect to find out more about its premise and who else is involved as the movie moves closer to its production. This information comes to us from Entertainment Weekly.